Last week, I unintentionally went on a lobster diet. Somehow, every place I went to eat, every dish I was served, every leftover I took home, all had one common denominator- lobster. Consequently, I found myself consuming lobster in one shape or another for 7 consecutive days. This is a situation I was not mad about at all. However, like all good things, the lobster diet must come to an end. 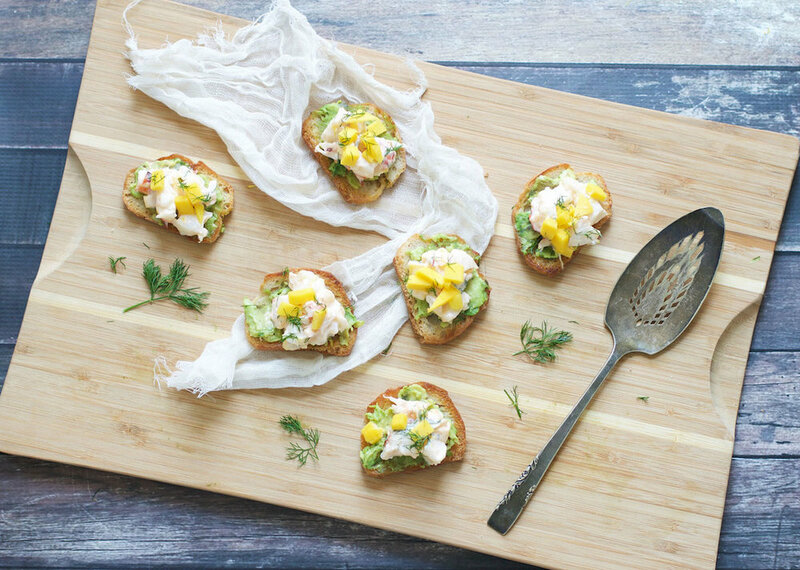 But not before using the last of the leftovers to whip up these summery avo toast bites. While Mr. RC and I had every intention of making regular lobster salad for lobster rolls, we decided life's short, let's get creative instead. 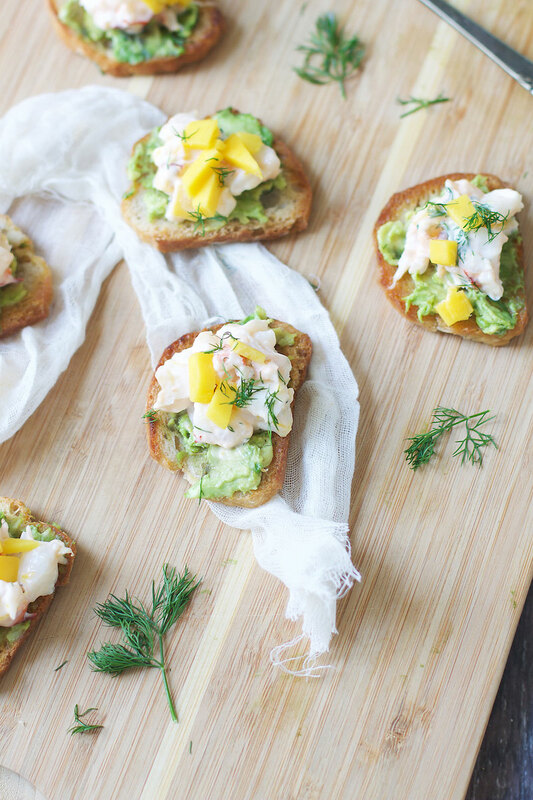 A gorgeous mango from the fruit stand, an avocado that needed to be used up, and some leftover bread rounds begging to be eaten before going stale later and we have these delicious mango lobster avocado toast bites. While they aren't light in calories, they are light in texture and flavor making them perfect for a summer appetizer or a simple lunch served alongside a tossed salad. 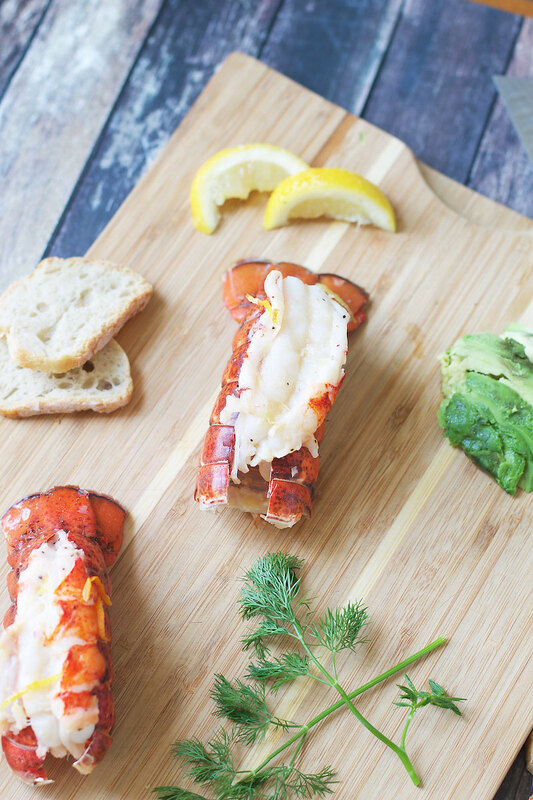 While I know everyone can't get enough of traditional avocado toast, this summer seafood twist will definitely have you raising your "lobster claws" for seconds (and thirds....and fourths!)! If your toast rounds aren't crispy enough, begin by laying them out on a baking sheet. Sprinkle with a little olive oil and salt, and toast at 400 degrees for about 10 minutes, flipping the rounds over halfway through toasting. Remove from the oven and set aside to cool. Next, in a medium-sized bowl, stir together the mayonnaise, lemon zest, lemon juice and the dill. Toss in the lobster and mango, and mix together. To assemble the bites, mash a small amount of avocado (about 1/2-1 teaspoon) on a toast round. Top with about a tablespoon of the lobster salad. Garnish with additional mango and dill, if desired, then place on a serving tray. Repeat this process until you have used up the lobster salad. Serve immediately. Serve alone as an appetizer or with a green salad for a light lunch. Pairs well with white wine. These bites should be served immediately. However, the rounds can be toasted 24 hours in advance and stored in a ziplock bag or airtight container. 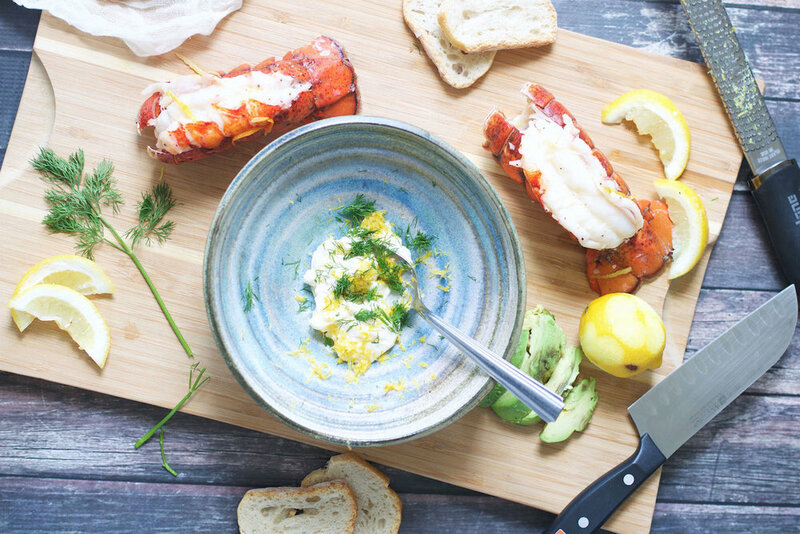 Additionally, the lobster salad can be prepared a day in advance and store in the fridge in an airtight container. Then, assemble the bites right before serving. Instead of mango, try using pineapple, or even a combination of pineapple and mango.